Robots Rover S5 is supplied with a tablet computer with preinstalled special software, “Mobile Robot Rover Agent System”. This is a client software of a multiagent system. 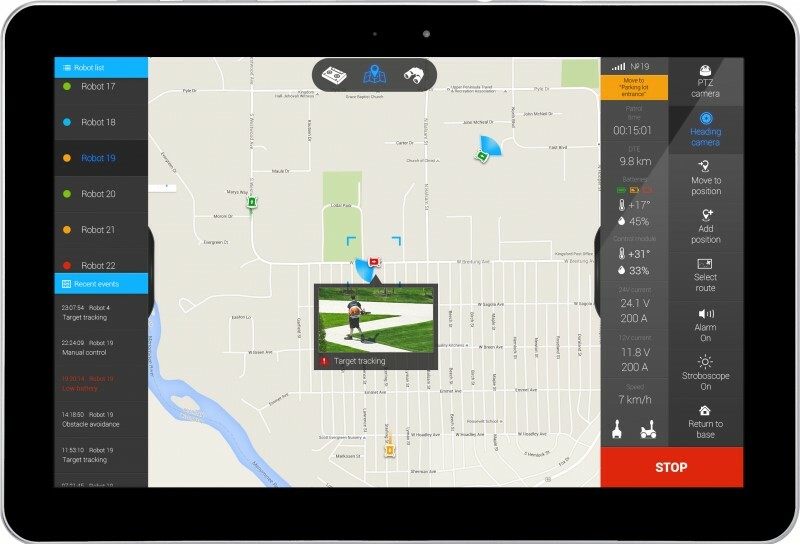 The software provides a display of terrain map showing the current location of the mobile robot while also displaying actions performed by the robot and the condition of its systems, such as that of battery power, link capacity, temperature, and power reserve. The software has an intuitive interface that does not require special knowledge or skills from the user to operate. If necessary, control screens can be added to the application interface for additional transportable equipment. 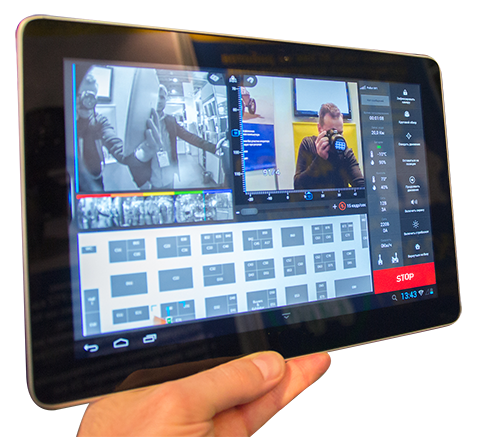 In particular, for the protection of the robot the operator, interface screens can provide additional online video and ability to work with video archives. 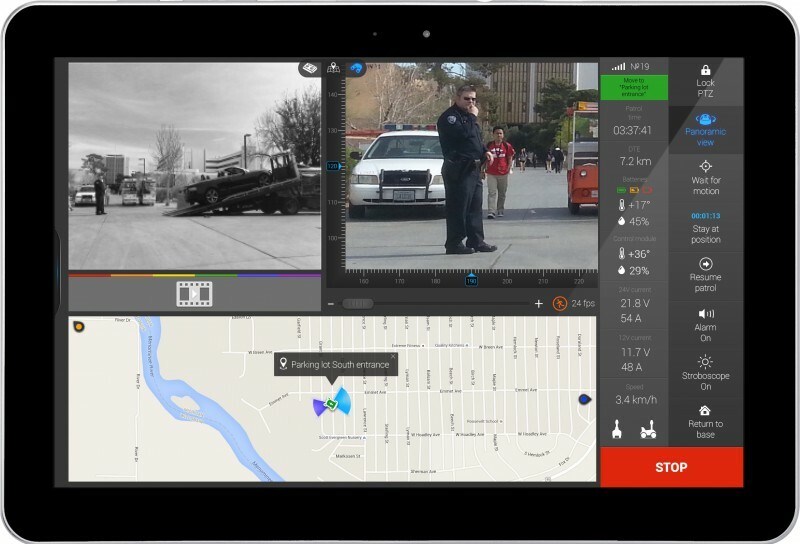 When used together, the software of Rover S5 robot can provide a UAV (drone) management screen, complete with an interface to control takeoff and landing of the UAV (drone). To solve the problems associated with work conducted in large areas and involving the use of large numbers of robots, SMP Robotics continues to enhance special software with elements of artificial intelligence. Problems with managing large groups of robots (intelligent agents) are very complex. Such problems often do not have a complete algorithmic solution, due to incomplete environment knowledge, unsteadiness, and the presence of unpredictable events that lead to failure of individual robots. Additionally, other factors are difficult to manage with formalized solutions to effecting practical cooperation of robot groups fitting to real environments. SMP Robotics continues to work on such artificial intelligence algorithms to solve real-time needs of large entities over a variety of terrains and other conditions worldwide. At the same time, solution control groups of robots can more fully reveal the capabilities of mobile robotic systems to maximize the effectiveness of their use. 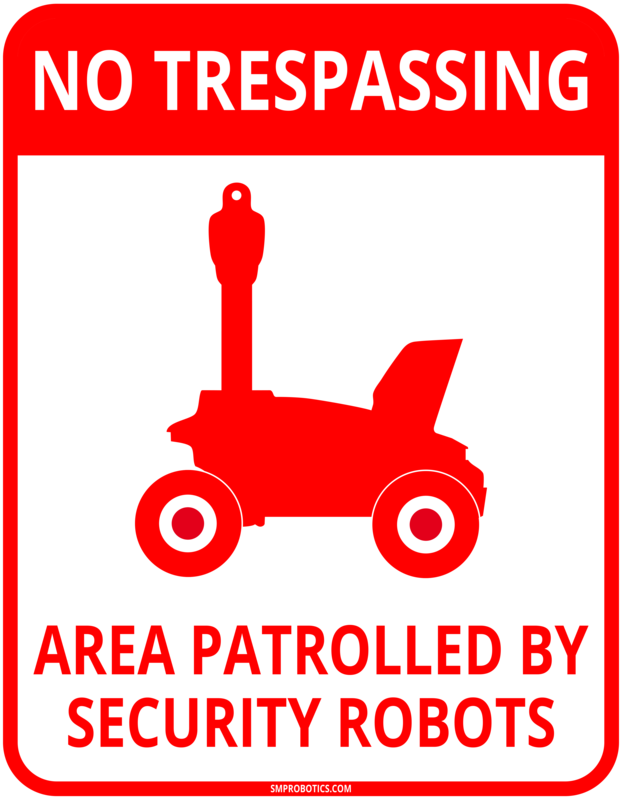 First, the number of robots per unit in a selected area should be sufficient to cover the area, and possibly redundant as a direct solution to the problem while supporting long-range improvements (for example, most of the robots used for security are on predefined route, and those robots provide a small part of exploring new optimal transportation routes). Second, such solutions can provide a continuous communications channel between neighboring robots or robots between any of the groups as a whole. Free circulation of information is necessary for its continual updating, providing access for all bots to successful strategies for solving local problems, and continuously moving toward a local dynamic reallocation of objectives. Exchange of information between agents assumes its optimal structuring and formalized solutions as with respect to the state of each robot in relation to the environment. A continuous exchange of information between intelligent agents suggests groupings of robots as a single super organism. Third, extensive problem-solving is moving toward the dynamic definition of specialized subtasks for each of the robots to successfully solve robot group problems in general. 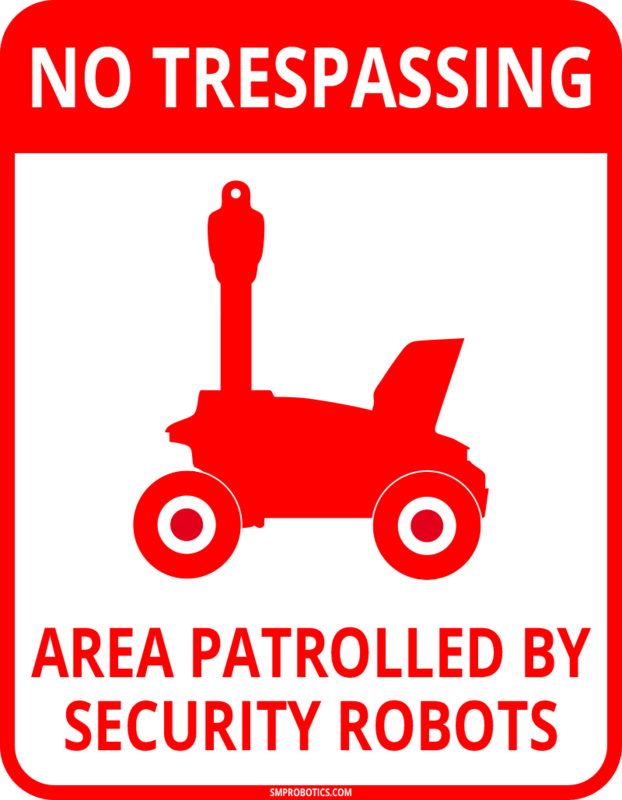 For example the Hazmat Robot is the only link in the transmission of information to the robot and performs as a task scout; in this case, the Hazmat Robot must postpone the task of hazmat care, despite the fact that it is a priority for the group as a whole, while ensuring a link to perform reconnaissance tasks. Recombination of the objectives is possible under two conditions: redundancy or intelligent agents and their universality for effecting solutions. Computing and sensory capabilities of intelligent agents as robots cannot handle information about the environment in general, so each of the robots has a fragment of knowledge. However, this group of robots in general has full, reliable information on the environment and other robots as an integral component of its environment. Tasks that can solve the grouping of robots having such swarm intelligence greatly exceed the capabilities of individual robots, multiplied by the number and capabilities of each component robot – it’s a great demonstration of how increased numbers create a new level of quality. 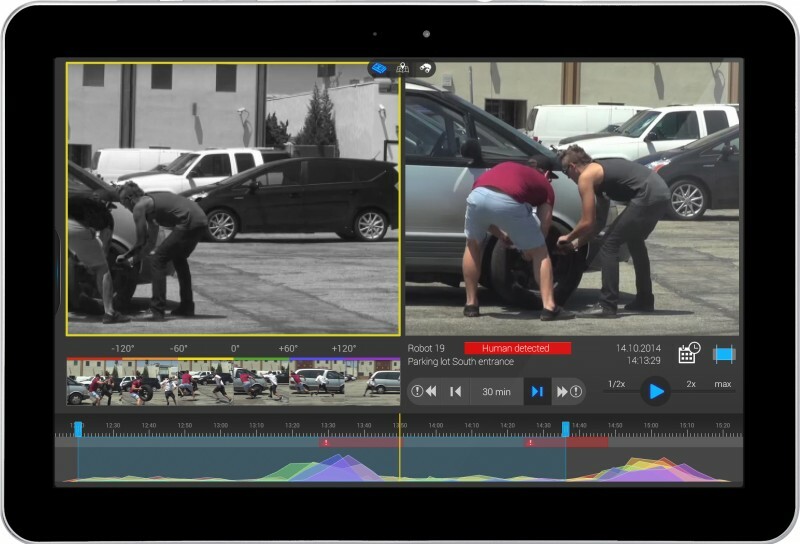 How this software works is quite difficult to explain in a few paragraphs. We spent more than five years on these developments, which was conducted by a large team of robot programmers and developers. In continuing efforts toward full robotics-based solutions immersion, we have started preparing a special training course for setting up and operating such hardware and software.